This entry was posted on April 21, 2016 by Texas Safety Supply. 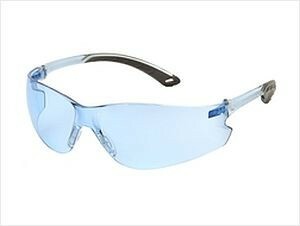 Industrial safety glasses hold the multiple functions. The foremost aim of its construction is to protect your eye against the industrial hazards like chemicals, sparks, gases and unexpected luminosity. Some people even go for the prescription safety glasses that improves your viewing focus while protecting your eyes. The fit and size should be ensured in order to prevent accidental fall or discomfort. In this post we would discuss about the benefits of choosing the one. The safety glasses are generally light in weight unless you go for some hi performance safety glasses that include extra protection. Industrial situations are such that you would not wish to hold on the heavy glasses for work. The industrial specific demands and standards are well understood by the manufacturers and thus, they have included only the necessary bits in its construction. A lighter lense and frame prevents the headache situations and can be easily carried in your bag while commuting to workstation. Normally the glasses tend to get affected by the dust, fog and chemical gasses in terms of clarity. The safety glasses are built with a resistance to these substances. In woodworks and welding, the clarity of vision has a huge importance. Durability is a quality that a user seeks in safety glasses. Since the task includes various strenuous activities and chemically exposed situations, the question of durability arises. Fortunately the manufacturers understood these preferences and facts and constructed them to meet the standards. The superior optics and strong material is used to construct them. In addition, the regular servicing can help you extend its life. Safety is the most important aspect in these glasses. The level of safety have been improved over the period of time and a good safety glass is capable of resisting hard chemicals, heat, fog, cracks and blur surfaces. The workers who are not used to glasses can also wear them comfortably for the long period of time. The debris during the work is revoked by the surface of the glass without damaging its surface. Comfortable safety glasses are necessary for optimum functioning and performance. It should not be too loose so that it slides down the nose or too tight to give you a headache. The focal length for the prescription safety glasses should be comfortable to the vision and the color or tint must be appropriate for the task requirements.